With the book ‘THE FALL OF PHNOM PENH’ out, I have this exhibition (from April 17, 2009 to early May 2009) with photographs I took in Phnom Penh/Cambodia on April 17, 1975. Just the pictures from one day… a big day in Cambodia’s people’s minds. 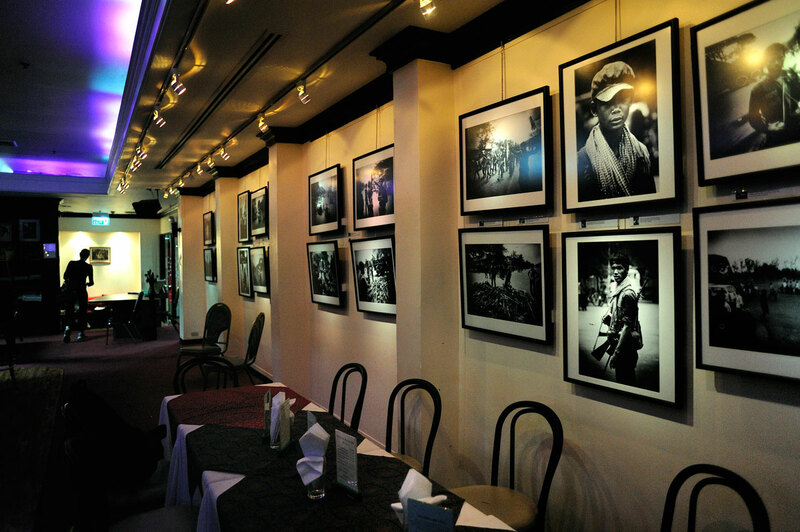 If you come by do not miss it, I put up on the wall a series of 30 B&W images printed in 17″ by 23″ on my Epson 4880.